Threats to e-commerce in cyberspace are on the rise. Every day, there are several cases of websites being hacked, resulting in data theft or even a complete loss of data. Businesses have problems keeping their e-commerce sites safe from hackers and other forms of risks such as ransomware. Cyber security for e-commerce sites is not an easy task. Managers and business owners often do not have technical training and the lack of information can discourage even the most cautious and security-conscious business owners. This guide will be useful for managers to secure their e-commerce websites in order to overcome security obstacles. To protect a business from any threats related to cyber security, the initial precaution to consider is to identify the vulnerabilities of a website and the business it represents. If it is challenging to identify weaknesses, think about how these issues can be fixed. Is there a lack of knowledge about the type of data that the company stores? Without proper information about the data type, it’s challenging to know about its vulnerabilities to increase cyber security for E-Commerce sites. Businesses have crucial data related to the intellectual property of the business, customer relationship management, crucial financial information and inventory management. Carry out a comprehensive mapping of all of the processes performed by staff members. Gather, secure, and properly dispose of this data to avoid threats to e-commerce in cyberspace. Information can be stolen from various transit locations. It is essential to consider the negative effects of a cyber security breach for the business, employees, and the relationships with customers and partners. The next phase is to start putting precautions in places such as providing adequate protection to the computers and website servers. Virtually all of the work that allows a business to operate goes through computers and other devices. However, these devices are always connected to the internet and a local area network, which makes them susceptible to a cyber attack. Hire an IT service to provide adequate protection protocols for the computer equipment and servers to enhance the cyber security for your E-Commerce site. 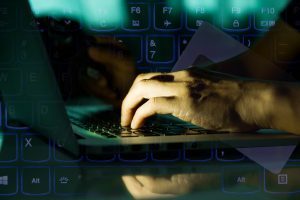 Computer systems used by an e-commerce site are quite vulnerable to an attack. Ensure their safety by keeping all software updated. Hackers are looking for loopholes in the software, exploiting the flaws to break into the system. Hackers have different motives to hack into computer networks or websites. The most common reasons behind a cyber attack are that the hackers want to make their political stance clear, they want to make some money or they are simply hacking because they have the capabilities to do so. Hacking and ransomware are intrusions that can cause considerable harm to any business. Hence, they are threats to e-commerce in cyberspace. Hackers can steal crucial information like credit card numbers, social security numbers and identities of the customers, clients and employees. The best approach to evade becoming the next victim of hackers is to regularly update the software to improve cyber security for E-Commerce sites. Viruses are able to do many things; they are malicious in nature and a virus has the ability to infect a computer system or an entire network. In general, they access important data and delete or modify it. The computer virus spreads by making several copies of itself in email messages hidden in attachments. If a computer on a network receives a virus, it can spread quickly and infect all computers and websites of a business. The virus outbreak results in significant data loss. The two most hazardous forms of viruses currently in circulation are “malware” and “ransomware”, which are significant threats to e-commerce in cyberspace. Some differences exist between malware and ransomware. The malware works by prompting the victim to download certain software, thus, getting entrance to the computer of the latter. It can access the same things as you can on the computer, take confidential information, or spam an email address. Ransomware is a malware type that, when launched successfully, has the ability to deny access to the targeted computer and prevents the user from accessing crucial data until the ransom is paid. Ransomware works by forceful encryption of your data; once the encryption is complete, it requires a special key that is held by the attacker. The attacker threatens to destroy or delete the data until the ransom is paid. The WannaCry cyber attack is an example of ransomware. Paying the ransom is not necessarily the answer. There is no assurance that hackers can actually unlock the files. Anti-virus programs must be updated regularly to avoid attacks like WannaCry. It is essential for businesses to take precautions to increase cyber security for their E-Commerce sites.